Make today a lovely one! 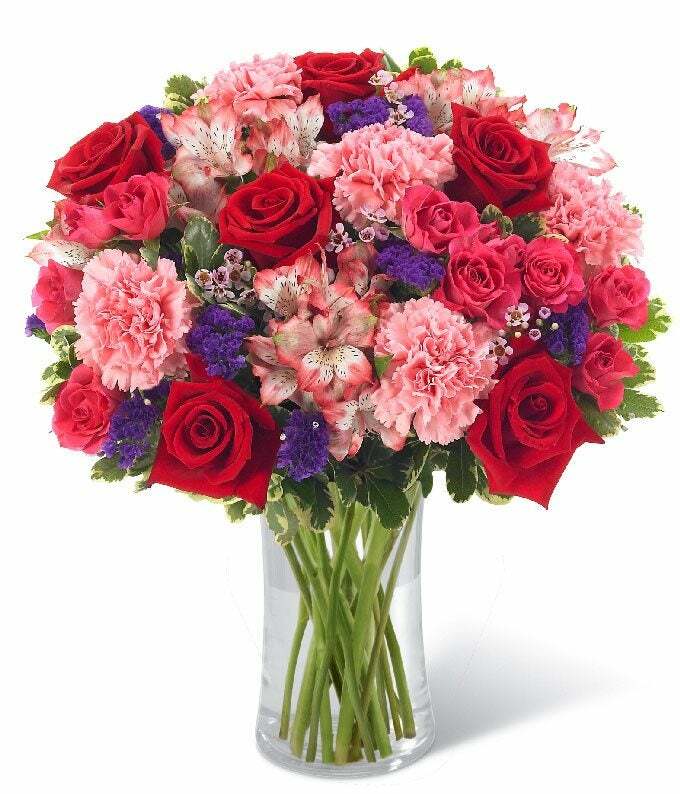 Celebrate with red roses, lavender waxflower, pink and white alstroemeria, hot pink spray roses, purple statice and pink carnations converge beautifully in a pretty red vase. Flower delivery today available. Measures 17"H by 14"L.